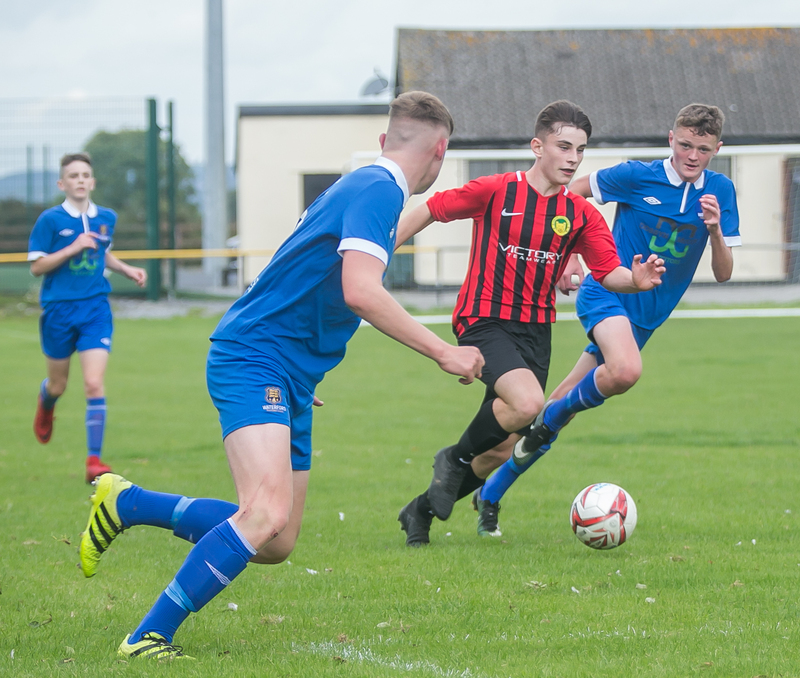 Their Airtricity League of Ireland Shield campaign may have ended in defeat, but the Carlow Kilkenny under-15s scored a big win when they got a home draw for the semi-finals. The local side dodged a lengthy away trip and will entertain Dundalk in the final four in Derdimus on Saturday, October 20. With their place in the knockout stages already assured, the squad travelled to Mounthawk Park and a meeting with Kerry for their final group game on Saturday. The confidence flowing through Mark Ross’s side was evident as they wasted little time in taking the lead, Jake Ffrench Davis breaking the deadlock inside seven minutes. Kerry may have nothing but pride to play for, but they were determined to end their campaign on a high. In what proved to be a free-flowing game they duly responded, drawing level through Sean Horan before half-time. The visitors raised the tempo again upon the restart, restoring their lead when Oscar Brennan struck. However, the Kerry League were determined to keep the points in the Kingdom - Rob Vasiu made it 2-2 before Eoin McGrath finished a lengthy passing move with a deft chip that earned the home side the win. Despite the result Carlow Kilkenny can reflect on a successful phase two of the league. They hit the ground running, scoring successive wins away to Cobh Ramblers and home to Kerry before the convincing defeat of Waterford left with a 100% record after three games. While defeat to Waterford in the away fixture checked their stride they bounced back with a 3-1 win at home to Cobh. That result, coupled with the 1-1 draw between Waterford and Kerry, meant they couldn’t be caught in the race for the Shield semi-finals, the second of which will see Wexford travel West to take on Sligo Rovers. Carlow Kilkenny: Josh Coady, Jake Haughney, Kyle Foley, Adam McCarron, Jack Byrne, Jamie Murphy, Eamon Lalor, Jack O’Neill, Niall Rowe, Jake Ffrench Davis, Dylan Hunston. Subs: Fionn McCaffrey, Zach Bay Hammond, Oscar Brennan, Rory O’Dowd, Darren Lawlor, Eoghan Byrne.